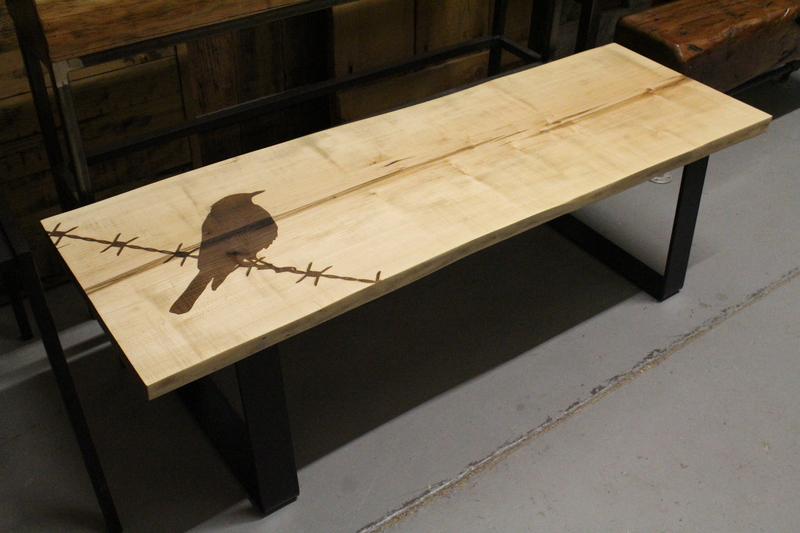 Maple Live Edge Coffee Table Goes To The Birds! We had a little fun with this maple live edge slab. 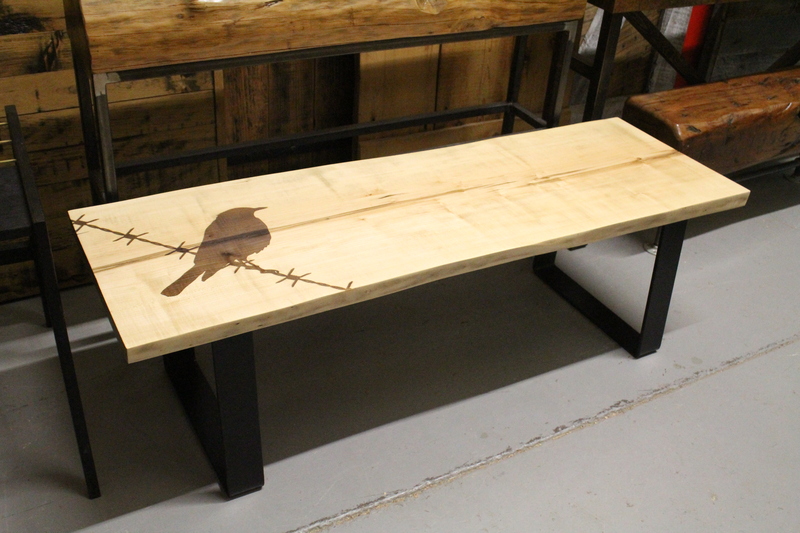 We decided to add a robin to the top of this coffee table just to add a little boost to this slab. It looks fantastic! 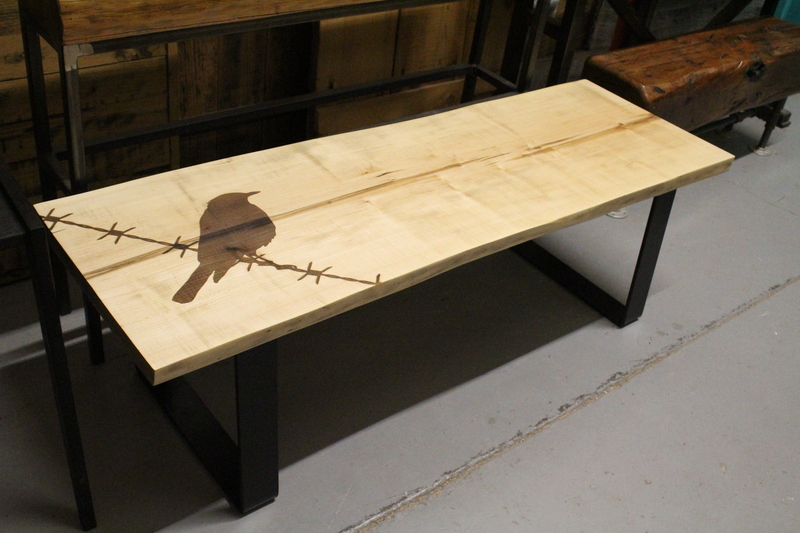 This table is for sale in our showroom. Give us a call for details @ 647-968-4004.